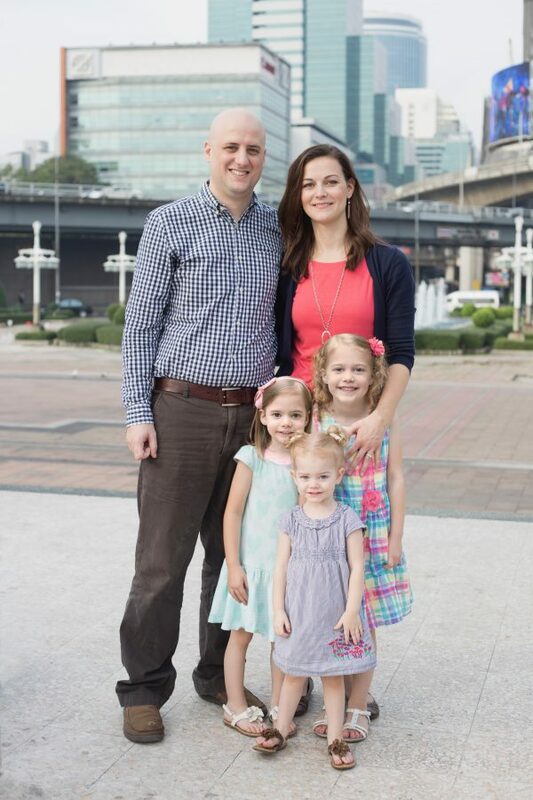 My family and I have been serving as church planting missionaries to Thailand since 2010. My wife and 3 beautiful daughters. This is to introduce you to our family and the ministry God has given us. After reviewing the information, if the Lord leads, we would be honored for the opportunity to partner with you through prayer and/or financial support. To prepare for the next season of ministry, we are taking our first full furlough since arriving in Thailand 5 years ago. The Lord has worked mighty in our lives and ministry and we would love to share it with you and your church family. As we are back on this furlough, we would ask that you would pray that we could raise the additional support needed for the next years of ministry in Thailand. When arriving in Thailand years ago, most of what we would do was abstract and unknown. Now we know exactly what the ministry that the Lord would lead us to looks like, and how much it costs. Initially, we had thought we would be on the outer edge of Bangkok, but the Lord led us to plant our church right in the center of this megacity. The opportunities are amazing, but the cost is as well. Everything is significantly more expensive than a less ambitious plan. We have taken a risk for His Kingdom, and the Lord has provided up until this point, but we are desperately needing to raise additional monthly support to be able to advance into the next stage of ministry. Additionally, our family has almost doubled in size since arriving, and with them growing and starting school, we need to raise additional personal support as well. In Addition, we look forward to reporting back to the faithful supporters who have enabled us to live and minister in Thailand for the past 5 years. 6 Days a week we have various meetings, services, discipleship times, classes, and activities. Sundays start early, preaching easily goes an hour, we break for a meal together, and then come together again for a second hour to hour-and-a-half of classes. Kids Ministry – Lori has done a fantastic job discipling and organizing kids church, workers, and other activities, and we have seen several children make professions of faith. Music — The Lord has given us a great music team of professionally trained musicians that have come together and serve the Lord and our church faithfully each week. Training for Ministry – Guys training for ministry preach short messages, teach offering devotionals, longer messages, and are involved in teaching different classes. Ladies Ministry – Ladies give of their time and money each week to prepare a meal every Sunday afternoon, and we eat as a church together before the 2nd service/Sunday school time to follow. The heart of our ministry has always been daily discipleship and Bible study. We started with just 2 around my desk before the church was even started, and it has grown and adapted over time, but consistency involved the daily discipleship with the group of people interested in learning. Usually lasting several hours each day, we start with prayer, discuss any current questions from their own reading and growth, and then we put a passage on the board and dig through it together, learning how to be a Bible student. This simple habit has been the foundation of our growth. English has proven to be a very effective way to reach out, meet new people, serve the community, and give people a chance to get to know, for many of them, the first Christian they have ever known and the first church they have ever walked into. We have changed how we have done it almost every term, but have had hundreds and hundreds of people come to English classes (up to 500 registering at one time!) and scores and scores visit church as a result. It provides a non-threatening opportunity for them to visit and see that Christians dont have 3 heads, and as the church has grown, gives members an opportunity to get to know more people and share the Gospel with them. Before and after class it is great to see Gospel conversations happening all over the building. Christmas seems to be the most effective holiday to promote, and we have been blessed to have people that have the heart and ability to make it very effective. Without missionary money, each year the church has been able to gather money on their own to buy small prizes and presents, promote through various ways, write and put on plays, and see literally hundreds come to hear the Gospel. It is a beautiful time to see the church body working together. Kids Day is a Thai holiday that is soon after the New Year and we are able to see many that come to Christmas, return for Kid’s Day activities. Many more… like Thanksgiving, activites in our home, Mother’s Day, Father’s Day, Valentines, movie nights, conferences, etc. are all good opportunities where we have seen the church come together to invite friends. Several guys in the church are professionally trained musicians and beyond regular music practice, give lessons to those in the church and community that want to learn. In a country of 0.7% Christian, and no Christian heritage, there is a dearth of materials. Most things that American churches take for granted do not exist in Thai. I would not be surprised if there were less than 1000 total Christian books, of any kind, in Thai. So, since everything is an opportunity, we have done a few projects thus far. Some official, some unofficial. Facebook — Bangkok is the #2 global city on Facebook, so needless to say, we have tried to use it. 2000 people follow our little church’s page where post the Live stream of our services, sermon videos, devotionals, events, and other useful content. Youtube — Along with church services, we have also put up the Entire New Testament as a type of Audio/Video Bible that will live in posterity. We are located in the very center of Bangkok. An area with 22k people per sq. km. (about .6 mile). The Lord has provided a post in the middle of this area where thousands every day pass by and see a church. Folk Buddhism, which is largely more akin to spiritism and superstition than strict Buddhism. The questions that we address often have to do with spirits, demons, spiritual power and help, and what they need to do to have a “better life,” basically meaning, what rituals do they need to perform to try our God out. Prosperity We are surrounded by prosperity preaching all around — Buddhist AND Christian. Most come with a vague notion of gaining some Christian luck. Immorality — There are 20+ VERY large Brothels within 1 mile of our church. In fact, we share a parking lot with one. Also, though not an official statistic, if you ask a person under 30 what percentage of their friends are some other sexual orientation, the answer will be 30-50%. Sin is abundant, but Grace is more, and the fields are white unto harvest. Though there is rampant immorality, it is not what they are most proud of. Thailand is a very homogenous culture with a very strong national and religious identity. We often hear rejection in the form of “I’m Thai” rather than “I’m Buddhist” because to the average Thai, they are one in the same. Persecution vs. Cultural Pressure: Thai have very strong family and community bonds, and are on the opposite end of the “American Individualism” spectrum, culturally speaking. While this is not a bad quality, it is a source of serious pressure for a new believer. A large percentage of people in our ministry face constant pressure from their families and community for being a Christian and sadly, many have turned away as a result. Learned Thai well enough to teach the Bible 20-30 hours a week in it. Praise the Lord! The thousands who have heard of the Gospel for the first time and are now seeing it lived out through new fellow Thai believers. A community of New Believers in a pagan culture, growing and living out their new faith. Acts is alive. People Joyful and eager to learn and serve God and others. Regular groups, classes, Bible studies, one-on-one discipleship, and other community activities as new believers are a light in the world. 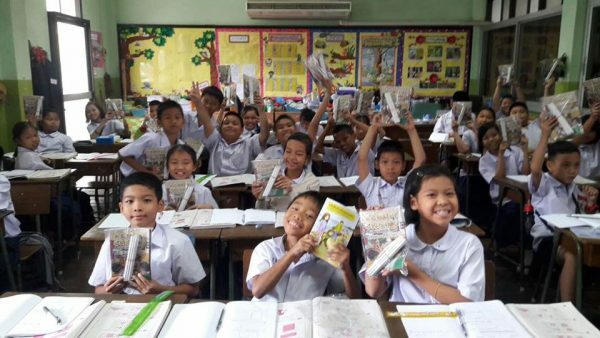 We long for people who will come and give their lives to learn a language and give up some comforts to get the gospel to 99% of Thai people who don’t know Jesus. Would you partner with us to see this come to pass? ?